I recently posted a link to a great review of Tender Prey, which featured at #2 in a list of Nick Cave LPs listed from worse (#21) to best (#1). Despite the opening line “ask me to reorder these albums tomorrow, and you might just find Henry’s Dream at the top of the heap” it is criminal that Henry’s Dream, a heavy-weight fighting it out for the top spot, is at #6. I’ll write another stiff letter. Ask me to reorder these albums tomorrow, and you might just find Henry’s Dream at the top of the heap. After the downcast restraint of The Good Son, Henry’s Dream finds the Bad Seeds in a welcome return to heavier terrain, but it also ranks as one of the more diverse albums in the band’s catalog without ever feeling scattershot or disorganized. By this point, the Bad Seeds had also expanded in membership, so that, more than ever, they felt like a collective as much as a band. Henry’s Dream marks the first album to feature Conway Savage on piano and Martyn Casey on bass (both joined the band on The Good Son tour, and both remain in the band today). 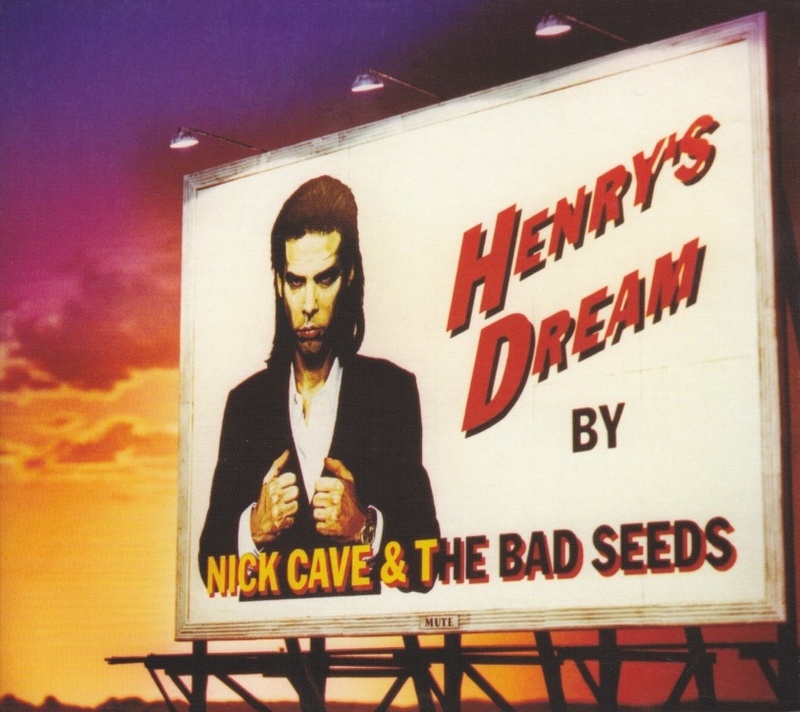 Henry’s Dream also seems, for whatever it’s worth, to have marked the arrival of the Bad Seeds as a Big Deal, as evidenced by the huge European and Australian tour in support of the album, which was later documented in the excellent live recording, Live Seeds. To these ears, too, Henry’s Dream is the first Bad Seeds album to feel modern. It’s a perfectly unscientific metric, but something about the quality of the album’s recording makes it sound as though it could have been released in 2002 or 2012 instead of 1992, whereas even The Good Son, from just two years before, has hallmarks of 1980s rock/pop recording. I imagine someone more well-versed than I am in recording technology can jump in and rip my theory to shreds, but it remains an intangible distinction: Henry’s Dream feels like a fulcrum, with all Bad Seeds albums before and after balanced on either side of its sonic divide. Disregarding all of the circumstantial minutiae, Henry’s Dream is one of the most solid, self-contained collections of songs Cave and the Seeds had yet put down. The apocalyptic clamor of “Papa Won’t Leave You, Henry” is perfectly echoed in the string accompaniment that crowds the song’s margins, and the relatively unadorned “Straight To You” wouldn’t sound particularly out of place on The Boatman’s Call. The band is in fine visceral form throughout the album, moving in gestures as direct and concise as Cave’s words are expansive and elaborate, and “Christina The Astonishing” serves as a show-stopping oddity in much the same way that “The Carny” did on Your Funeral… My Trial. For this listener’s money, though, the true gem of Henry’s Dream is “John Finns’ Wife.” It finds Cave in wonderful storytelling mode, and yet his words are imagistic and ambiguous enough to avoid accusations of oversimplification. And still, despite the fact that the song is clearly driven forward by Cave’s constantly tripping, spilling words, the arrangement is more subtle than you might recall if it’s been a while: Harvey plays some organ in the background, and the strings that move alongside a few verses are plain enough so as to not intrude. The most thrilling thing, however, is the wonderfully fluid way that the whole band trades instrumental emphasis with the shifting action and mood of the song. Casey’s bass playing works as a soothing anchor against the impatience of Bargeld’s background guitar that gathers and gutters like the rising tension of which the narrator speaks. And then, oooh mercy, that coda. For me, at least, that perfect line — “John Finns’ wife took all the flowers down from her hair/ And threw them on the ground” — has always allowed just enough ambiguity to make it unclear whether she throws them to the ground in mourning of her dead husband, or as a way to indicate that she had only used the unnamed narrator to provoke and murder her “mad” husband. Personally, I lean to the latter interpretation, but I think the song allows one to go either way. Regardless, the song is a beautiful encapsulation of Cave’s songwriting abilities, and of the versatility and sensitivity of the Bad Seeds as a working band. That the song manages to look ahead to Murder Ballads at the same time as it looks back to the blues and frontier preoccupations of earlier Bad Seeds albums is just an additional facet to its many fine qualities. The photo on the inner sleeve of Henry’s Dream shows the six members of the band sitting together in a cluttered recording studio, in the middle of running through a song. Cave holds a microphone, seated on a stool with lyric sheets at his feet. It’s still the default way I imagine the band: a bunch of guys, instruments in hand, hammering it out as they go along. What a remarkably good album. via 06. Henry’s Dream (1992). PreviousPearl Thompson’s guitars are in a book!